Kostantinos Liris is a certified taster. With his head office in Kalamata and by cooperating with international organizations he has gained a lot of experience on issues regarding the quality and tasting of olive oil. Since 2014 he has been one of the judges in the top olive oil tasting competition in New York – NYIOOC-, while in 2016 he was selected to be head of the tasting panel of the event. He is the founder of the IRIS-Agricultural Union of Messinia , a company providing consulting services relevant to the agricultural and agri-food industry. At the same time, he works for companies as an independent contractor on international olive oil trading, and he is sales representative, olive oil analyst and taster, for SALOV SPA (FILIPPO BERIO) company, as head of the Greek and Turkish market. 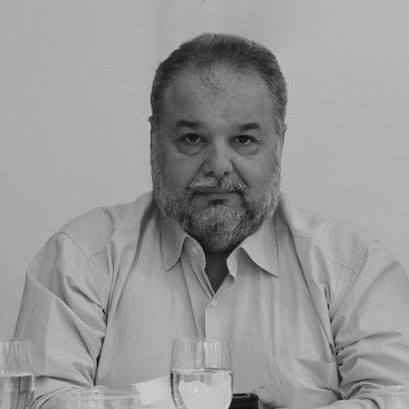 From 2010 through 2013 he was Support Manager in the Primary Production Sector for the Agricultural Union of Cooperatives of Messinia (one of the biggest Unions in the country) while at the same time he was head of the quality control sector of olive oil, olives and raisins. Before that, from 1998 through 2010, he was Trade & Quality Manager in the Union. He has taken part in numerous international conferences for the promotion of olive oil in Greece and abroad. One significant time in his career came when he received a thank-you letter from the former Prime Minister Georgios Papandreou for his contribution to the development and promotion of quality Greek products worldwide. He is a columnist for many magazines in his field.